No doubt you will know the name Achilles whether you have read ‘The Iliad’ by Homer or not (and I haven’t) and indeed will probably have heard the tale of the Trojan War. That said, whether you have or not doesn’t actually matter because with ‘The Song of Achilles’ Madeline Miller retells you the tale but in doing so gives it a new perspective from one of the most unsung heroes of the tale itself, Patroclus. Born a rather frail specimen, in fact somewhat an embarrassment to his father Menoetius (one of the Argonauts no less), he is involved in a terrible incident that sees him banished to Phthia, the land of King Peleus, he soon becomes a very unlikely friend to Peleus’ son Achilles, who he couldn’t be less like. It is from here, and through Patroclus, that Miller brings us the tale of the Trojan War and all its adventure, it’s also here that she gives us a love story too. It is both the adventure and this love story that makes us read on. Though it is never officially stated in The Iliad, it is believed, and inferred, by many that Patroclus was not just simply Achilles’ closest confident and right hand man but that they also became lovers. It is this dynamic of their youthful friendship that gives the book its sense of adventure and the love story what gives the novel its emotional punch. I don’t normally love a love story, but I really loved this one. I can’t quite put my finger on how, which is probably why it works so well, Miller creates such a believable and touching relationship between these two men starting from pre-pubescent friendship that becomes post teenage love because she does it so deftly but you’ll be rooting for them, even though we soon learn the gods have stated a prophecy which isn’t going to reach a happy conclusion for anyone concerned. Have a tissue ready, seriously. Now here I must mention the Gods and the mythic creatures that do appear in the book. Some people choose not to mention them in modern twists on classics but I was relieved to see Miller was keeping them in (I mean why wouldn’t you as they make up so much of these old legends). That said, I knew that if she didn’t make them ring true, or make me conjure them in such a way as I believed in the unbelievable (a small ask) then she would have lost me. I needn’t have feared, as soon as Achilles mother Thetis appeared on the page I was sold hook, line and sinker. ‘The waves were warm, and thick with sand. I shifted, watched the small white crabs run through the surf. I was listening, thinking I might hear the splash of her feet as she approached. A breeze blew down the beach and, grateful, I closed my eyes. When I opened them again she was standing before me. It simply gets better and better from here on in. What was truly wonderful, and this is just a personal thing I guess, was how it made me want to go back to all the Greek and Roman myths and legends that my mother used to tell me and re-read them. It sort of brought out a passion for these tales that I had long forgotten. I actually cheered when Chiron the Centaur appeared on the stage, seriously I was so excited, ‘a centaur!’, and found myself smiling as I remembered the names and the tales of other characters mentioned in the novel. I wouldn’t normally say that I was a reader who subscribes to adventure stories or love stories and yet Madeline Miller’s debut novel ‘The Song of Achilles’ is easily my favourite read of the year so far. The reason for this is simple, she’s a bloody good storyteller, a great writer and I think the enthusiasm she has for classics becomes contagious somewhere in the way she writes. It’s now made me want to read ‘The Iliad’ (watch out for a read-a-long with Michael Kindness and I in due course) which I would never have thought of reading before. I also want to dust off my copy of ‘The Greek Myths’, dig out Margaret Atwood’s ‘The Penelopiad’ and get my hands on David Malouf’s ‘The Ransom’ too. Madeline Miller has made me want to run out and read more books with this book, what more can you ask from an author than that? Have you read this and if so what did you make of it? What novels based on Greek Legends, or reworking them, have you read and would recommend? 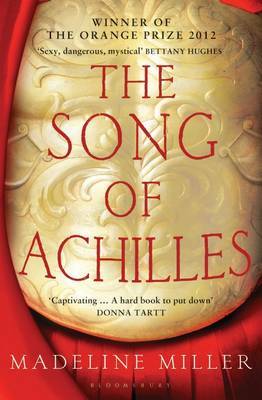 Oh and, Madeline Miller will be on the blog tomorrow, as will the chance to win some copies of this marvellous book. In the meantime thoughts and recommendations most welcome. I have read Ransom, my first from David Malouf, and really loved it. Based on what you have said about this novel, I think you would love Ransom too. I can’t wait to read this one. I’m waiting for it from the library. Funny you have ordered this one from the library Sharkell, I have just recently picked up Random from my library, see we are both discovering classical retellings and doing it through the lovely library! I’ve been shouting about this book since I read it last summer. I think it is truly terrific, and I’m so glad to see it getting the recognition it deserves. I’ve had the pleasure of meeting Madeline – she’s a delightful, unassuming person, and I liked her as much as I admire her work. Good luck to her and her book! I saw your thoughts on it back in the day, well last summer ha ha, and you almost convinced me to try it then… Yet I am glad I didn’t, as persuasive as you were, because the timing wasn’t right. It clearly has been and now I am forcing the OH to read it and he is really enjoying it. I’m in total agreement, Simon! 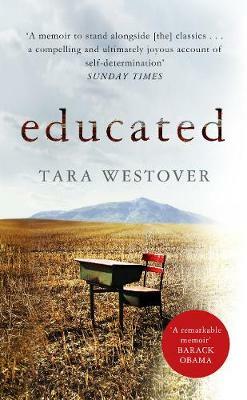 I adored this novel and really was so surprised to like it. I haven’t read The Iliad either so if you do a read-a-long I would love to join in. I need to pester Michael about when we are doing it, we said the autumn but Gavin and I might be doing a second series of The ReadersBook Club so it will have to be when we both can make it, we want to get Madeline involved too, but we both really want it to happen – so its lovely to know we will have you on board. If you haven’t already grabbed it Annabel then wait no longer as its just brilliant. I loved this book. I was worried when I started it that I would find the gods, prophesies etc a bit silly and off-putting. But it is so straightforwardly written that it all seems perfectly normal. Like you I’m determined to read more about the subject. I think you are right, there is a matter of fact nature to the gods and goddesses, without it being clinical or cold, that I think helps. I also think that her descriptions give the reader just enough of an image that they build something in their own head rather than what she might imagine the gods or goddesses look like, if you get me? I hate watching war movies or war scenes, yet I can’t believe Miller has painted war scenes in such beauty and grace. Not an appropriate thing to say but the clashing of shields and the breaking of wood and shafts, makes it seem real even while reading the book is like watching a movie. The reading experience of this book is really out of this world. Can’t stop raving about it. I think its interesting you mention the war scenes in this book, to my mind there were only three or four of these and thats why it worked. It wasn’t endless descriptions, you saw the horror of it first hand a few times so it could be in the background more in a way. Many thanks for the glowing recommendation Simon. I have now bought this book and it seems to have a life of its own as it moves tantalisingly close to the top of the TBR pile. The book designer/s and publisher are to be commended for inserting a reflective gold page opposite the inside cover to complete the bird’s wingspan. This creates an indelible impression to entice the reader into the story. Is this meant to be Icarus/a phoenix? I’ll have to read on to find out. It is a beautiful cover isnt it Stephanie, glad it enticed you after I had. I think its just meant to be some form of bird on Achilles shield. I think. I’ve always liked The Odyssey better than The Iliad so this seems like a great entry point to the world of Achilles and co. Maybe it will finally give me an interest in rereading the original. Sounds like it’s a great read! I haven’t read either Kirsten, my poor mother must be so disappointed, but I am going to read The Iliad this year, and if the world doesnt end I might try the Odyssey next year of I get on with Homer. Simon, I waited to read your review (and interview) til I could read the book myself, because I was so psyched about it, so have just now gotten here. I agree wholeheartedly, what an amazing book! (And I’ve asked her for an interview too; fingers crossed. :)) I share several of your observations. For example, I think one of the things she did very well was bring this ancient myth to life with a new and fresh appeal. Unlike you, I was already a confirmed fan of Homer etc., but this was a fresh new look that revitalized my love; and you’ve had sort of a same-but-opposite reaction that confirms what a great book it is. When I saw your review and saw that it was positive, I stopped there and went and grabbed my copy. Thanks for helping to encourage me to pick it up. 🙂 Keep up the good work! It is such an amazing book isn’t it Julia. It manages to hit literary and page turning at the same time which is a rare feat. It is really interesting to hear the reaction of someone who is a fan of Homer coming to this book and not thinking it is some kind of sacriledge to be honest, I think that is how people can feel about some books like this and the whole ‘retelling’. Ah, well, another way to look at it is that a Homer fan doesn’t have much to look forward to! 🙂 (meaning, he’s not releasing any new books!) And I feel she was very true, not only to the characters and the tone and mood of the original work, but even to the writing style – no iambic pentameter of course, but a sort of strident semi-formal feel. This scratched my itch delightfully. I do wonder what other fans of the ancient Greek think. Hoorah, thats great news Janette. I am so pleased when people read a book and love it as much as I did, I owe you an email as I won’t be seeing you this week, not sureif you were going or not.